I’ve gotten a lot of mileage out of this series. I wrote about The Witcher 3: The Wild Hunt in glowing terms. My friend Danny McMurray wrote about its predecessors in similarly reverent tones. 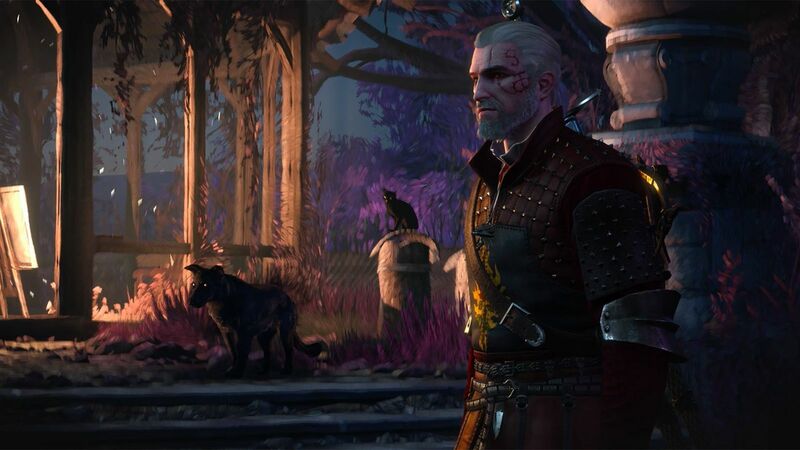 As an intellectual property, the stories of everyone’s favourite witcher, Geralt of Rivia, have exploded in popularity and success, and I would say that’s due mostly to the accessibility of The Wild Hunt and the unmatched quality of its execution. It’s a gaming experience that – vast and time-consuming as it already is – cries out for sequels, expansions, and added content. Like Game of Thrones, Star Wars, and Harry Potter, it crafts a world that is fascinating to visit, and stokes the fires of the imagination by hinting at myriads of other untold stories hiding just beyond the border of what you can see. Kudos (and lots of money) are due to CD Projekt Red and their refreshing approach to DLC, because that’s just what they’ve given us with two paid expansions for the base game, called Hearts of Stone and Blood & Wine. The first expansion, Hearts of Stone, was released in October 2015 and costs $11. It takes place in the same areas as the base game, but adds new characters, monsters, gear, abilities, and a roughly 12-hour storyline in which Geralt is hired by a mysterious merchant named Gaunter O’Dimm (although he likes the moniker “Merchant of Mirrors”) to contend with a bandit captain enchanted with the power of immortality. This is the more story-heavy of the two expansions, since the added gameplay elements like powerful sword runes and extra Gwent cards – while useful and well-conceived – are less significant than the added narrative portions. It’s clear where the budget went: the story of this bandit captain, Olgierd Von Everec, is poignant and powerful, with humour and intrigue sprinkled throughout. This is a story that sees Geralt hire a band of break-in artists to help him stage a heist, battle princes that have transformed into monstrous toads, attend a country wedding, and spend a night partying with a ghost. A new romantic relationship is available with a battlefield medic named Shani, which can even affect his standing with the main questline’s ladies (mostly for ill, as you’d imagine). O’Dimm makes for a fascinating villain, whose true nature is obscured but whose motives are clear right from the start (if you’re paying close enough attention, that is). Hearts of Stone – especially towards the end of the tale, when Von Everec’s backstory comes to light – was as affecting as anything I’ve seen in a game, and rivals the (much higher-budget) narrative from the base game’s campaign in terms of sensitivity and power, and sheer volume of memorable moments. Depending on how you play it, the expansion can have little to no effect on the main game – but I would say it’s just as indispensable. You would expect Blood & Wine, then, released much later (May 2016) and for twice the price ($22), to surpass HoS in terms of its impact and quality. I’d be hard pressed to argue that. It’s a much heftier expansion, larger than some full-priced games in its own right, and absolutely chock full of new content. I never thought I’d say it, but my Witcher cup runneth somewhat over: I’m thrilled to be given so much carefully crafted stuff in return for my gaming dollar, but it’s almost too much. I found myself less and less motivated to finish the new storyline, set in the brand-new region of Toussaint, overwhelmed by a swarm of new quest markers on my map and oddly disengaged from the whole experience. Is that a fair criticism? I don’t know. It’s hard to quantify these things when I’m nearing the 200 (!) hour mark of total time spent Witching. It could simply be that I’ve had enough… for now, at least. 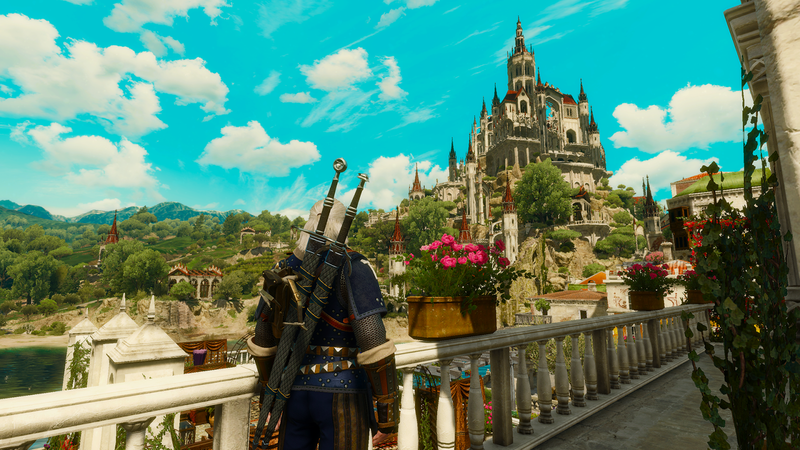 Blood & Wine sees Geralt travel to Toussaint, a medieval fantasy France, where cultivation of wine and culture are prized above all pursuits. He is hired by the region’s Duchess, Anna Henrietta, to track a figure the townsfolk are calling “the Beast of Toussaint,” an unknown fiend who is systematically killing the ducal knights. He becomes embroiled in a plot for the throne that sees him participate in a tournament of knightly skill and contend with beings known as higher vampires – a far cry from the bloodsucking goblins of the main campaign. While sprawling and just as polished as everything else, B&W’s storyline left me slightly cold. Maybe it’s the vampire thing; I was never much of a vampire guy. Apart from a brief interlude that had me travel to a literal fairytale land, where children’s folktales come alive in a bright, stylized rainbow-sparkling wonder dimension, I found this storyline far less engaging than the one provided in Hearts of Stone. (As I’ve said, this could simply be Witcher fatigue on my part, but I can only be honest about my reaction.) Thank god, then, for the added gameplay. B&W offers what must be three times the new content HoS does: apart from laundry lists of new monster contracts and quests (a particularly cool one of which had me prove that Geralt possessed all five of Toussaint’s cherished chivalric virtues, in order to claim a badass sword, Arthur-style, from a lady in a magical pond), there are entirely new ability trees called Mutations, a completely new deck of Gwent cards, and – most importantly – Geralt is given an estate which can be customized and upgraded, finally giving me a place to display and admire all the kickass armour and weaponry I’d collected. Perhaps if I’d been able to play Blood & Wine before putting over a hundred and fifty hours into The Wild Hunt, I’d be more charitable and patient about its story – but considering how much value it offers in terms of gameplay, and considering the pure excellence of the storyline in the previous expansion, I still count it as a wholly worthwhile experience. It’s amazing to me that CD Projekt Red have poured so much time, energy, passion, and money into continuing to push the bar. They easily could have rested on their laurels after the monster success of The Wild Hunt, but they weren’t content with that. They had to go and offer far more than any developer does with their optional DLC, asking fair prices for two add-ons that, frankly, are better than most other games on their own. Bravo, CDPR. If you’re one of the few people who have played The Wild Hunt but somehow not bothered with the DLC, let me assure you: you won’t regret diving back in. That said, I think it’s high time I took a break. Witchin’ is hard work, after all. – Justin Cummings is a writer, blogger, playwright, and graduate of Queen's University's English Language & Literature program. He has been an avid film buff, gamer, and industry commentator since his childhood cinema first installed an arcade. 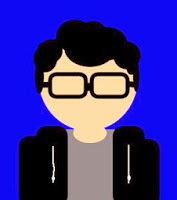 He is currently helping to make awesome games at Ubisoft Toronto, and continues to pursue a career in professional criticism.